As much as the 2018 class was getting after at the 2016 Futures Camp, the 2019 class was playing with some fire as well. In camps, when the day wears on, offense tends to take precedent over defensive intensity, and while there were some lapses in the Top 20 game, this group of sophomores stepped up in big moments and reset that heat in their games to make it a fantastic finish with multiple players having impacts. 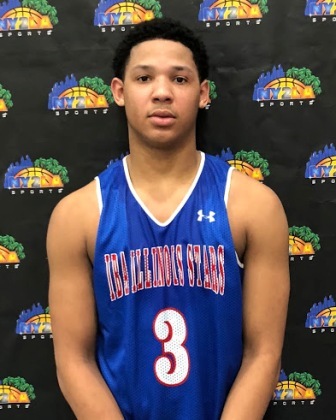 Harlond Beverly (Southfield Christian) and Tyger Campbell (La Lumiere) really led the way, rising star Nobal Days (Racine Park) finished the day off really strong, Darryl Brooks II (Dominican) would not be denied late, Xzavier Jones (Martin Luther) and Karl Wright (Lanphier) were high-risers, and a number of other players also put together nice performances as well during the camp. 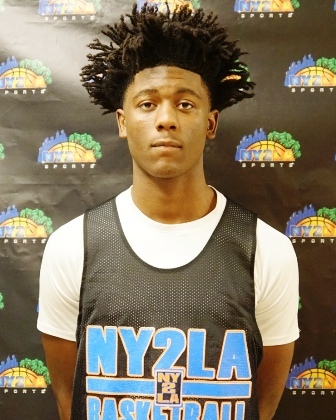 As previously mentioned, Beverly was a standout making plays all day long and really putting on an offensive show with his outside shooting and then ability to put the ball in the basket on the drive as well. His level of play never dropped and he was constantly looking to attack or find open spots on the floor to score from. He showed athleticism, instincts, and skill and he did so in a silky smooth fashion. Of all the prospects in attendance on Saturday Beverly was the the one who opened the most eyes and was the most impressive consistently throughout the day. A big time performance on Saturday. Brooks is one of those quiet competitors who is very patient with his game and then can turn it on big time when needed. 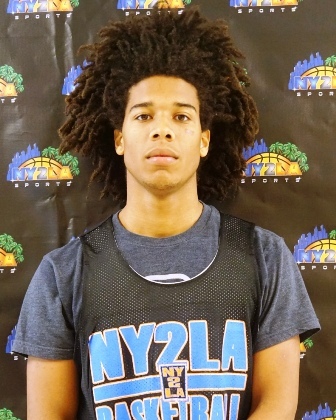 The young Dominican guard was efficient early on, picking his spots and making use of his opportunities to score, knocking down a pull up mid-range jumper, finishing off driving an open lane, etc. Then, in the Top 20 game, the score was close and a fire was lit under Brooks who challenged the men across him to stop him, and they simply could not. Brooks used burst, quickness and some upper body strength to fight by defenders and finish at the rim, including the game-winner with a couple seconds left, blowing right past his initial defender and then scoring up and around a help-defender with control and some finesse. Burnell had a solid day just making the right play at the right time. He did a nice job sharing the ball with teammates and then scoring when he had the chance, particularly around the hoop taking advantage on a couple open drives when the defense fell asleep some. 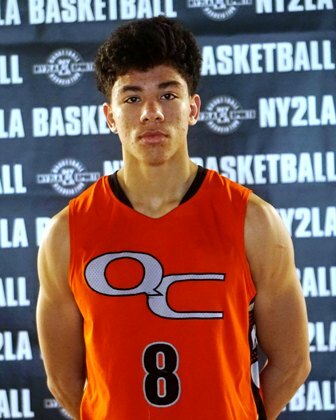 He is active and brings toughness to the court and his ability to score at all three levels combined with his athleticism and physicality make him a matchup problem for opposing guards. 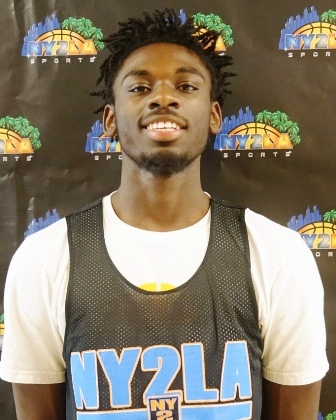 The 2016 Futures Camp Co-MVP had a big-time performance in the final game Saturday, sinking a trio of triples and slicing and dicing his way through traffic, absorbing contact from defenders and then finding the right touch on his shot whether it was a short-range pull up over the off-balance defender or a solid lay-in after completely beating the defender(s). His offensive game is very smooth when he is on the attack and his jumper is coming along nicely. Defensively he really turned up the energy as the day wore on. Canady just does a lot of things really, really well. Early on his shot wasn’t working quite as well so he impacted the game in other ways, spreading the ball around to his teammates and helping put them in positions to score by attacking gaps in the defense and drawing help before dishing it off. Later he started to get some of those shots to fall and impacted the game with his scoring. His size at his position right now made him tough to score against as well as he uses his body and length for a guard well. Carrington and Brooks were the two really going at each other in the late game, making it a sort of competition who could stop who, which was really fun to watch, because both played pretty tough, solid defense and yet both were able to score with consistency. 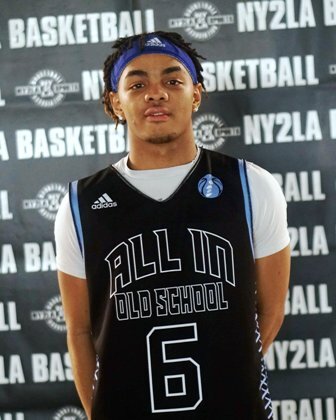 Carrington used his quickness and ball handling to get whoever was on him slightly off balance, and he did a really fine job of seeing that moment he had the opening and hitting it with good accuracy at the hoop or from mid-range. Early on he also showed his ability to shoot from the perimeter as well. A lefty, Carton has a really smooth shooting stroke when he steps in and lets it go. He hit a number of shots throughout the day and showcased the capability to breakdown defenders with his dribble as well. The other area Carton was able to affect the game, on the offensive end in particular, was cleaning up the boards some. Carton has some big upside as he continues to grow and develop his defensive game to go with some solid offensive skills and a great feel for the game. Cison was electric as a playmaker and floor general on Saturday at the Futures Camp. 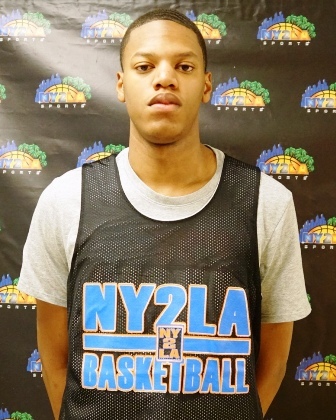 He was quick and speedy, showed off really tight handles and has a great eye for the hoop. He would get by defenders and attack the paint, looking at times to pull up where he hit a few jumpers, and other times if the interior sucked up, he blew by to the hoop to finish there instead. Cison also did well passing the ball, completing a number of assists on the day. Coburn, while not a finished product, showed some really good toughness inside and worked really hard to get up the court where he was able to beat some of the other ‘bigs’ to the paint and finish off the catch. In the half court offense, he was still solid, showing he can score a little with his back to the basket out of the post, but really thrived off guards attacking and dishing it down. Cole has some really good size and put his athleticism on display throughout the day, including having some fun in the Top 20 game by throwing down a couple impressive dunks. Look for Cole to really round out his game moving forward as he showed he can score the ball when the opportunity is there and is good defensively. Cole was also really tough on the boards. Days is coming along very nicely as h e begins to fill out more and more physically. 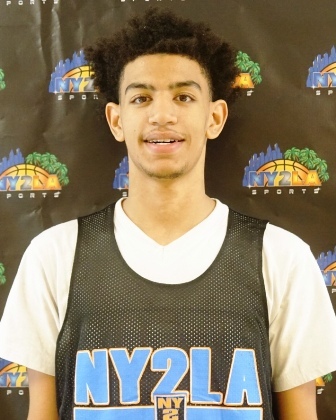 As for his skill set, there is little Days can’t do as he is a decent shooter right now, which he showed with a couple nice shots throughout the first couple games, he passed the ball really well and can handle it with the dribble when need be also. Where the coveted 6’9” prospect really made his mark Saturday was on the offensive glass, using his length inside to get tips and put-backs. Domask does a lot of things really well, and he has a stellar overall offensive game. 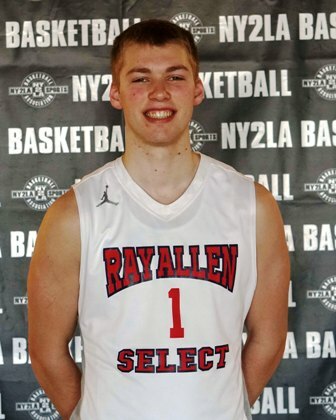 The Waupun standout was consistent throughout the day and knocked down shots from the perimeter, used shot fakes and some sneaky quickness to get by defenders and finish some mid-range jumpers, and also got to the rack occasionally where he found the bottom of the net as well. Hudson did not have a flashy day, and that wasn’t a bad thing, because he just played everything solidly throughout the games. He handled the ball well, he passed it with precision and care making sure not to force things, and then scored a couple times when it opened up for him. 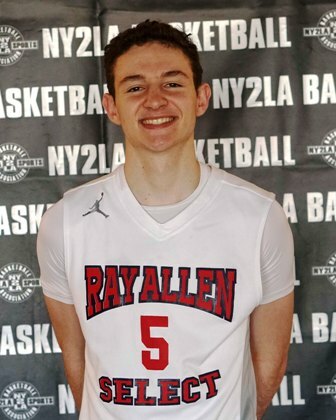 He's tough and brings excellent energy and effort to the court and his ability to fill the box score and deliver dominant performances offensively and defensively is impressive. His instincts combined with his athleticism and energy make him an excellent leader on the court and one of those types that you want with you and not against you when the game is on the line. XJ was really tough on Saturday and it was good to see some passion come out in his game against some top competition. Jones was flying up and down the court at times, and did a really nice job mixing up his offensive game, sometimes taking it coast-to-coast after a rebound on D. The talented wing/forward knocked down some shots away from the hoop, but he was electric when attacking the rim with authority, particularly when throwing down a couple hammers in transition. Moore made some really steady plays and then some really thrilling plays at Futures. The young man displayed an array of offensive skills that really allow him to attack different defenders in different ways, always keeping himself at the advantage. Against smaller guards, Moore took them inside and finished at the basket, and when a bigger defender would be switched onto him, he was able to attack them and then pull back for jumpers which he sank with good consistency. He also knocked down some three-balls throughout the day. Nau didn’t have a big day statistically, but he managed the games well and made plays for his teammates often. Nau was strong with the ball in his hands, attacked well and with control and found the open man often. Another area he showed some major improvement, if not just for his will and fight, was on the defensive end where he worked hard not to give up ground to opposing guards and kept them having to move the ball around the perimeter. Nau has an understanding of the game and a level of unselfishness to his play that make him an excellent teammate and one that will generally make the righ decision. He has solid athleticism and and excellent stroke. 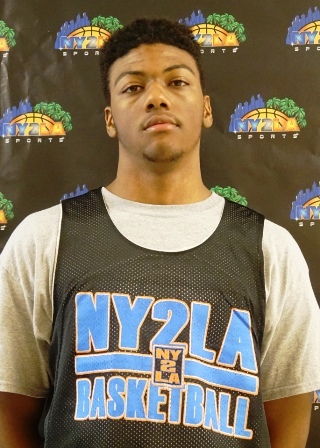 He's another legitimate Division 1 talent that was in the gym on Saturday and his best basketball lies ahead. 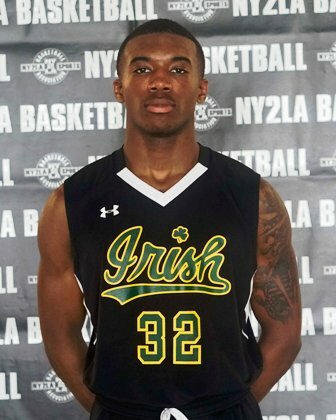 A long lean and active interior prospect, O’Neil was initially thought to be a 2018 prospect where he opened eyes. When we found out he actually was a 2019 talent it made even an even more intriguing prospect. 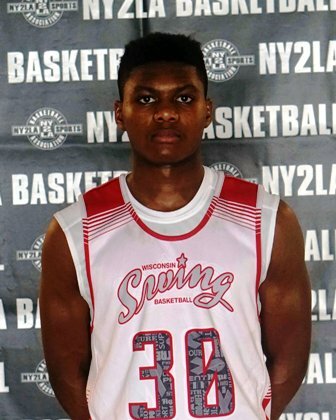 He has solid instincts around the basket and his activity and athleticism make for an excellent rebounding talent with solid potential defensively. He runs the floor well, can finish in transition or traffic, and he has a nice ceiling and is far from a finished product. He was impressive in flashes on Saturday and looked the part of a legitimate Division 1 prospect when he reaches his potential. When White had it going on Saturday, he really had it going. He would go through stretches where he was really difficult to defend because he used his ball-handling along with his quickness to keep the defender on his heels and then if he fell back, White knocked down the shot over him, or if they got flat-footed and sleepy, he blew by and made whatever play needed to be made at the next level – be it score and connect with an open teammate. Wojcik eased his way into the action a bit on Saturday, but once he got rolling he was really tough to contain. 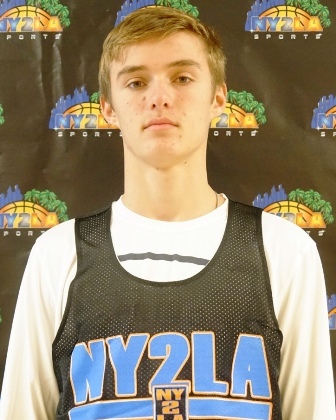 At 6’4” the La Lumiere lefty was attacking the defense off the bounce and making plays around the rim, he rebounded the ball well on both ends of the floor, and from the outside, Wojcik was a definite threat shooting the ball. 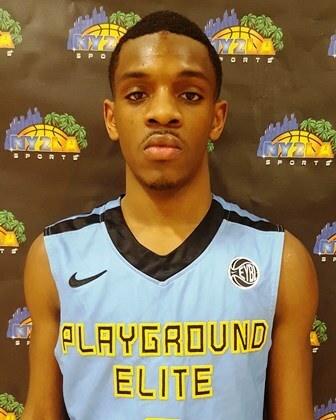 Another raw talent, Wright plays with great energy and activity, hustling up and down the floor to constantly put himself in position to impact game play. Defensively he was always protecting the rim it seemed whether on the ball or off, he came over in help repeatedly to help deter the opponent. Offensively, as his skill-set develops, watch out, because he plays above the rim. 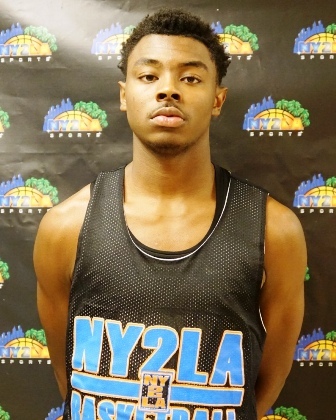 Wright threw down some thunderous slams throughout the camp and really made a splash with his athleticism. Young was another player who competed with a quiet consistency all day long. 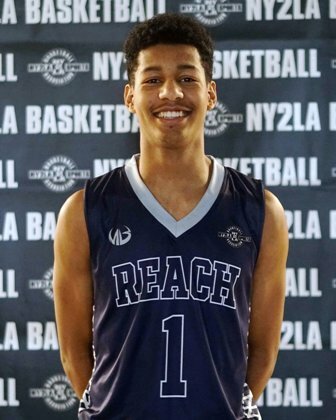 He played solid defensively, rebounded the basketball well and then took advantage of his chances offensively by finishing at the rim or knocking down an open look from three-point range. A solid young talent with potential, Young was impressive in flashes on Saturday and he’s only getting better. One to watch closely. 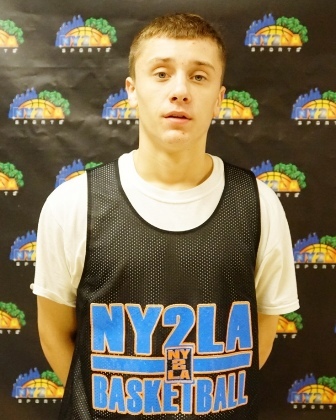 Note - NY2LASPORTS.COM National Recruiting Editor Antonio Curro also contributed to this article.